Brazilian model Waleska Gorczevski, after Elie Saab, Paris, March 2014. American model Nicole Keimig, after Veronique Leroy, Paris, March 2014. Lovely Evangelie Smyrniotaki of Style Heroine, after Acne Studios, Paris, March 2014. Such a great look on Evangelie: love the different textures and the metallic blazer (another way to style a metallic blazer). After Valentino (in Valentino beautiful floral lace dress), Paris, September 2014. After A Show, NYC, February 2014. South Korean model Soo Joo Park, after Chanel, Paris, October 2014. Casual wear for chilly weekends. Market Editor Lucky magazine, Laurel Pantin, before A Show, NYC, February 2014. Harper's Bazaar (Russia) Maria Kolosova, before Isabel Marant, Paris, September 2013. Russian model Katya Riabinkina, after Carolina Herrera, NYC, February 2014. A cute way to style a shearling jacket for the weekend: with a sweater dress + over the knee boots. 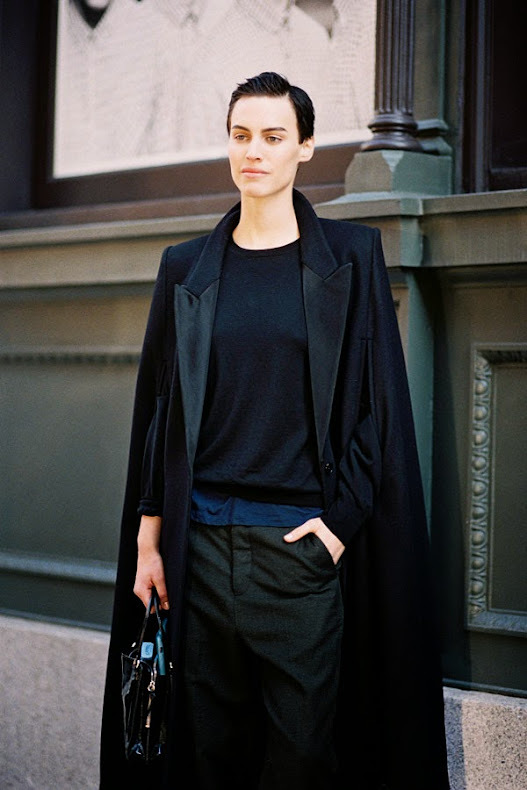 American model and artist Alana Bunte, after Jason Wu, NYC, February 2014. Love this look on Alana....sophisticated menswear-inspired styling at its best. Helena Bordon, after A Show, NYC, February 2014. Russian model Svetlana Zakharova, after DKNY, NYC, February 2014. After Margaret Howell, London, February 2014. Executive Fashion Director Lucky magazine, Alexis Bryan Morgan, Tuileries, Paris, March 2014. Love this gorgeous belted coat on Alexis....beautifully styled with the floppy brim hat. 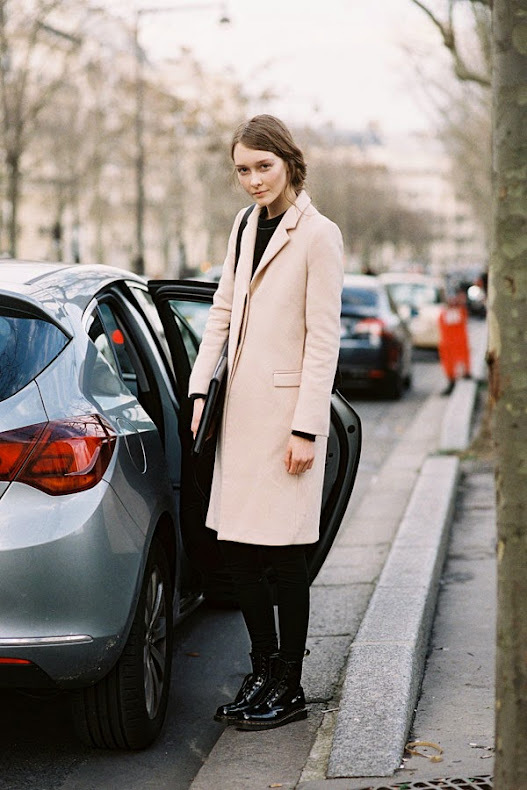 Creative Consultant Kate Foley, before Valentino (wearing exquisite pieces from Valentino), Paris, September 2014. Serbian model Mijo Mihaljcic, after A Show, NYC, February 2014. How to wear summer overalls in winter? Top with a faux-fur coat and lace up boots like Mijo. 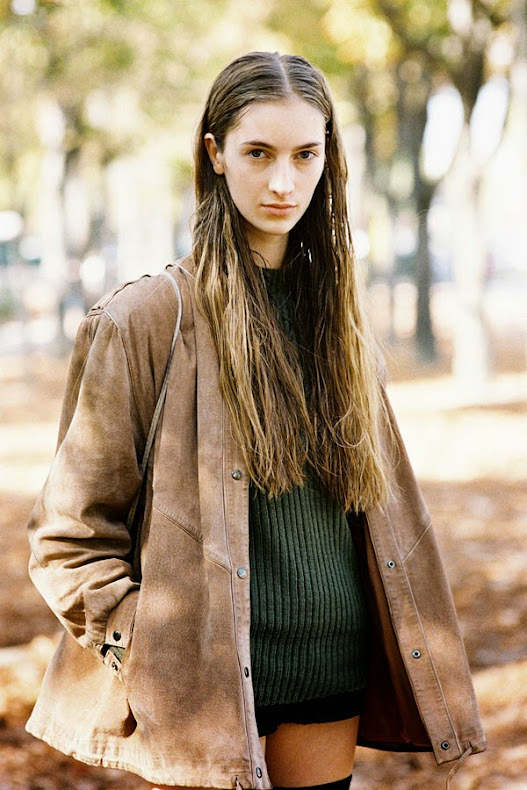 Belgian model Yumi Lambert, after A Show, Paris, March 2014. Emily Weiss from Into the Gloss, after A Show, NYC, February 2014. Buro 24/7's Nasiba Adilova, Lincoln Centre, NYC, February 2014. 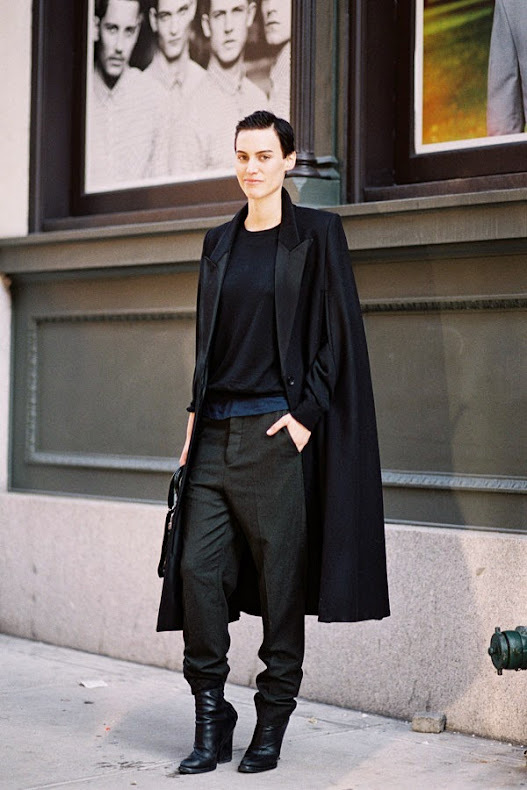 Lithuanian model Auguste Abeliunaite, after Carolina Herrera, NYC, February 2014. Love this beautiful belted coat on Auguste...a classic to bring out each winter, year after year. Canadian model Bianca Gittens and Peruvian model Juana Burga, after Tracy Reese, NYC, February 2014. Before Temperley (I think! ), London, February 2014.